When is Dinner Being Served? Student activity regarding phytoplankton blooms and their effects on the ecosystem. 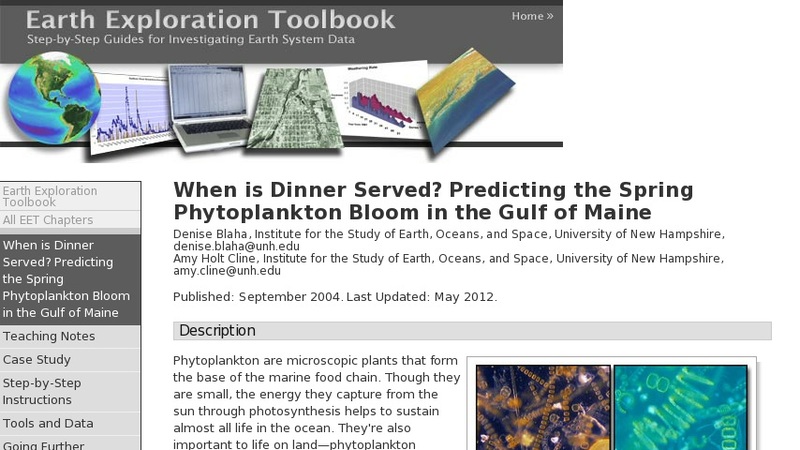 Students will obtain and analyze data on the variables that influence the spring phytoplankton bloom from buoy monitoring stations in the Gulf of Maine. Activity includes background information, step by step instructions, additional resources, and activity extensions.